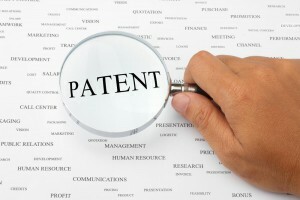 Patent refers to inventions and innovations and is widely considered as prime intellectual property right. Most countries and World International Property Organization adopted and developed system for registration of rights in patents. Patents are registered by filing requests for protection in national office. Applications are either filed for the first time directly in national office and or based on previous application filed in other country or under the Patent Co-operation Treaty. Allied Intellectual Property Attorneys provide aid for inventors and title holders who seek protection of their rights in United Arab Emirates. Patent once granted will be protected for 20 years; however annual maintenance fee is to be paid to Patent Office. United Arab Emirates requires that all patent application be submitted of 2 sets of documents in both Arabic and English. Applications are formally and substantially examined upon payment of examination official fee. Refused applications will have a chance to request re-examination upon payment of official re-examination fee. Accepted patents will be published and certificate of grant of protection will be issued. Allied Intellectual Property Attorneys arranges the filing of patent in United Arab Emirates as well the filings of national phases of applications filed under the Patent Co-operation Treaty. United Arab Emirates fixed official fee for applicationsowned by individuals different from applications owned by companies. The official fee for individuals is half the cost companies paid. Maintenance annual fee are also half the cost of that paid by companies. Right in patent is 20 years not extendable. Industrial designs and Industrial drawings are one of the largely protected rights; owners of these rights tend to quickly apply for their registration due to the relatively short period of their registration term which is only 10 years not extendable. Same as the example of Patents United Arab Emirates fixed official fee for applicants who are individuals different from applications submitted by companies. The official fee for individuals is half the cost companies paid. Maintenance annual fee are also half the cost of that paid by companies.